HomeShopAgricultural EquipmentIndustrial Digital Smart Weigh Scale Heavy Duty Stainless Steel 440LBS / 200kg Capacity. 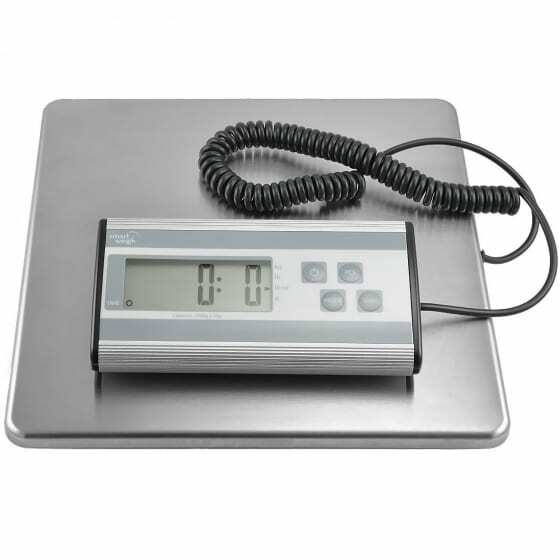 Industrial Digital Smart Weigh Scale Heavy Duty Stainless Steel 440LBS / 200kg Capacity. Sleek, wide platform holds large packages while long extendable cord allows the user to read package weight easily no matter how big the item. Weight reading is displayed on an easy to read LCD display. Perfect for Fish Farmers both a home office or professional business. Shipping scale features tare weighing option to consecutively weight multiple items, manual and auto off to preserve battery and PCS function to give an accurate count of items of the same weight. USB cord adds an extra power source. Send Enquiry for Industrial Digital Smart Weigh Scale Heavy Duty Stainless Steel 440LBS / 200kg Capacity.